India is a country that has tremendous solar energy potential. As the nation is facing an increasing demand - supply gap in energy, it is important to tap the solar potential to meet the energy needs. This article analyzes the Indian Solar industry, its major growth drivers, the challenges it faces and the various policy initiatives taken by the government. The article also tries to identify the various actions required to promote the growth and development of the industry, enabling India to meet the rising energy demands of the future. India is in a state of perennial energy shortage with a demand-supply gap of almost 12% of the total energy demand. This trend is significant in the electricity segment that is heavily dependent on coal and other non-renewable sources of energy. Renewable energy (RE) sources contribute only 7.7% of the total installed power capacity of 167,077 MW in India. Among the RE sources, wind power is the dominating component while solar energy currently contributes to less than 0.1% (on-grid+ off-grid) of the total installed capacity. The solar energy potential in India is immense due to its convenient location near the Equator. India receives nearly 3000 hours of sunshine every year, which is equivalent to 5000 trillion kWh of energy. As shown in Exhibit 1, India can generate over 1,900 billion units of solar power annually, which is enough to service the entire annual power demand even in 2030 (estimates). 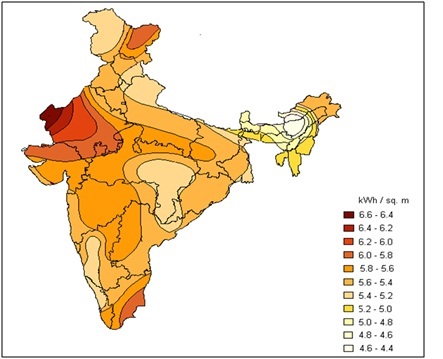 Exhibit 2 shows that Rajasthan and Gujarat are the regions with maximum solar energy potential. This, coupled with the availability of barren land, increases the feasibility of solar energy systems in these regions. Considering India�s solar potential, the government has rolled out various policies and subsidy schemes to encourage growth of the Solar Industry, which is expected to experience exponential growth in the coming years. There are three government bodies established to promote solar energy in India. The first is the Ministry of New and Renewable Energy (MNRE), which is the nodal unit for all matters relating to RE. The second, India Renewable Energy Development Agency (IREDA), is a public limited company established in 1987 to promote, develop and extend financial assistance for RE and energy efficiency/conservation projects. Finally, Solar Energy Centre (SEC) is a dedicated unit of the MNRE and the Government for the development of solar energy technologies and promotion of its applications through product development. Besides this, government has also rolled out various policies and subsidies to promote this sector. India�s National Action Plan on climate change (NAPCC) identifies eight critical missions to promote climate mitigation and adaptation. National Solar Mission, which has the specific goal of increasing the usage of solar thermal technologies in urban areas, industry, and commercial establishments, is one of the core components of this policy. The government also offers capital subsidies to semiconductor manufacturing plants in Special Economic Zone (SEZs) and outside SEZs through semiconductor policy launched in 2007. In 2009, MNRE launched �Jawaharlal Nehru National Solar Mission (JNNSM)� with the ambitious goal of making India a global leader in solar energy. JNNSM plans a three-phase approach with specific targets for each phase as given in Exhibit 3. The other targets of this mission include achieving grid parity (same production cost as current electricity source) by 2022 and parity with coal based power generation in 2030. The factors propelling the current and future growth in the solar energy segment are segregated into demand side growth drivers and supply side growth drivers. Exhibit 4 summarizes the major growth drivers and challenges faced by this industry. India suffers persistent energy shortage with average demand-supply gap revolving around 12% of total power supply. This, coupled with rising energy needs, is a major factor driving the growth of this segment. The Power Ministry forecasts electricity consumption to increase to around 1900 kWh by 2032 from the current 660 kWh. Policy measures such as JNNSM, aimed at encouraging investment in the solar energy sector, shall help develop a market for solar energy in India, thereby driving down costs. Increasing public awareness about issues such as energy scarcity and environmental preservation shall also fuel the demand for eco-friendly power, hinting at growth opportunities for solar power. The current power generation in India is heavily dependent on non-renewable natural resources such as coal and diesel, whose fast depletion has forced the government and the power generation companies to look into RE sources, especially solar power. The favourable environment created by government through subsidy schemes and policies is encouraging power generation companies to invest in this sector and thus promoting growth. The other major factors driving the growth from the supply side are huge demand for electricity in rural areas lacking grid connectivity, and abundant availability of sunrays in India throughout the year. The solar industry in India is still in its nascent stage and faces many challenges such as high costs of solar power generation. In India, cost of solar electricity produced on-grid is Rs. 18.44/unit. This high cost is mainly due to dependence on imports for silicon and solar wafers used for the manufacture of solar cells � about 80% of which comes through imports. Solar projects are capital intensive, and the lack of an effective financing infrastructure for these projects is another major factor impeding growth in this sector. Another challenge faced today is the disparity in solar potential across states, which is evident from the irradiance map given in Exhibit 2. Currently Research and Development (R&D) in this sector is on a slow track due to lack of collaborative and goal driven efforts on this front. Technological innovations that improve the efficiency of current solar energy systems are necessary to exploit the solar energy potential in India. In order to facilitate this, government has to frame comprehensive R&D schemes and provide incentives along with the current subsidy schemes. Another major factor restricting the growth of this sector is the lack of standards, resulting in the fragmentation of the market among manufacturers and suppliers. Standardization of systems will lead to rationalization of cost as companies can invest in R&D and newer technologies to meet common specifications. Facilitating closer industry � government cooperation and increasing consumer awareness about the benefits of solar energy are some of the other main challenges currently faced by the industry. 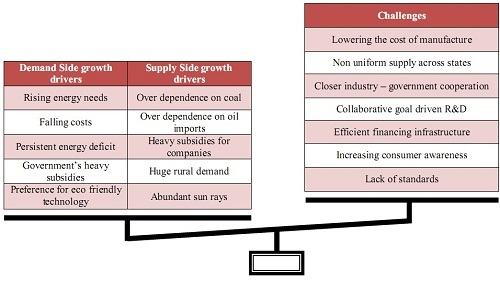 Exhibit 4 sums up the demand and supply drivers for the solar industry, in addition to the challenges faced by the industry. Active growth of the Indian solar energy industry calls for immediate implementation of the following steps. These measures will not only boost the growth of solar energy sector, but also reduce the usage of non-renewable sources of energy and carbon footprint. RECs are interstate tradable certificates issued for every unit of renewable energy produced. Mechanisms such as these are essential to achieve NAPCC�s goal of increasing the mandatory RE usage for states from 5% today to approximately 15% in the next 10 years. Instead of producing RE by their own, states can purchase RECs from each other to increase their RE content in total energy. This mechanism will enable low RE potential states to purchase RECs from high potential states, enabling them to meet NAPCC�s increased demands. Moreover, these purchases will incentivize high RE potential states to produce more RE than required currently, enabling overall increase in RE production. Solar power generation emits lesser amount of CO2 compared to conventional sources of energy such as coal. Trading this reduction in the emissions trading market can be another source of income for the Solar Energy manufacturers. We estimate that on an average � considering the current rate of emissions trading � savings of anywhere between Rs 0.9-1.5 can be achieved per unit of electricity produced. This will partially help in offsetting the high cost of solar production. From today�s technology standpoint, solar power generation works at 15-20% efficiency. Under this scenario, large-scale on-grid applications are more feasible in areas where there is plenty of barren land and high rate of irradiance such as Gujarat and Rajasthan. It is very important to concentrate the efforts in these areas to realize solar potential there before moving onto other parts where the irradiance is low or there is scarcity of barren land. The RE produced in these regions can be transferred to other states through RECs, enabling uniform distribution. More than 80, 000 villages in India suffer major electricity supply shortages throughout the year, which provides tremendous opportunity for off-grid solar applications deployment. Some of the possible applications are lighting and electrification systems, solar powered cellular towers, irrigation pumps and street lighting. Exhibit 5 gives an estimate of the diesel savings and carbon emission reduction possible through deployment of solar cellular towers. Localized mini-grids based on Photo Voltaic (PV) cells can be set up in regions that lack grid connectivity due to physical or financial barriers. Electricity generated by these mini-grids can be distributed through localized low-tension networks. Central government subsidy can finance initial setup, state and local governments can fund distribution overlay, and revenue collected from sale of electricity can fund the operation and maintenance expenses. The main advantages of mini-grids are lesser initial setup costs and power tariff comparable to that of conventional grid power. The mini-grids in Sunderbans stand testimony to the success this system can achieve in India. Solar Energy possesses tremendous potential in bridging India�s energy demand-supply gap in the future. There are various challenges for this industry, including lowering cost of production, increasing R&D, consumer awareness and financing infrastructure. It is important to overcome these challenges for fast growth and mass adoption of the technology. Some of the immediate actions to enable growth are efficient implementation of renewable energy certificates, usage of carbon trading as a source of revenue, immediate implementation of grid powered energy in regions of Rajasthan and Gujarat, development of off-grid usage in various applications such as cellular towers and encouraging localized mini grids in areas that lack connectivity today. If these initiative work as planned, it is only a matter before India becomes one of the world leaders in Solar Energy.